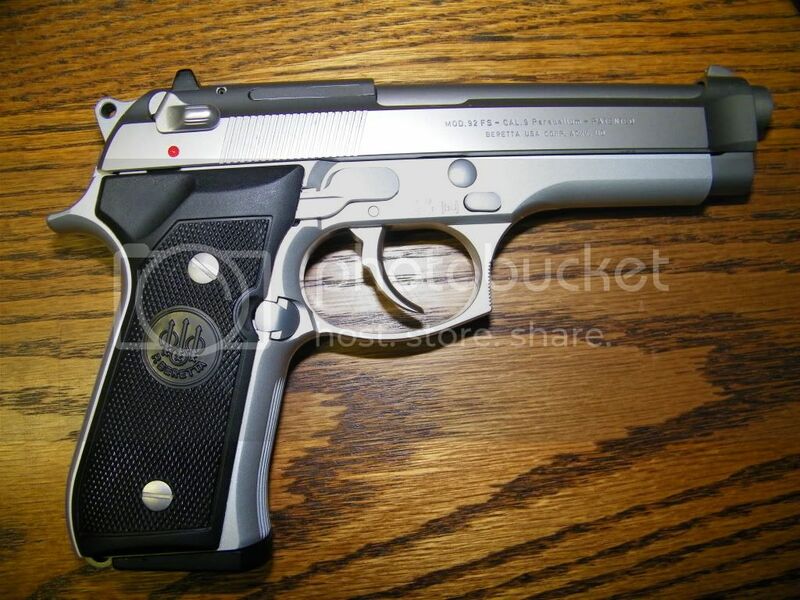 The first is my new Beretta 92FS in 9mm. I could not pass this deal up, and the price was amazing. 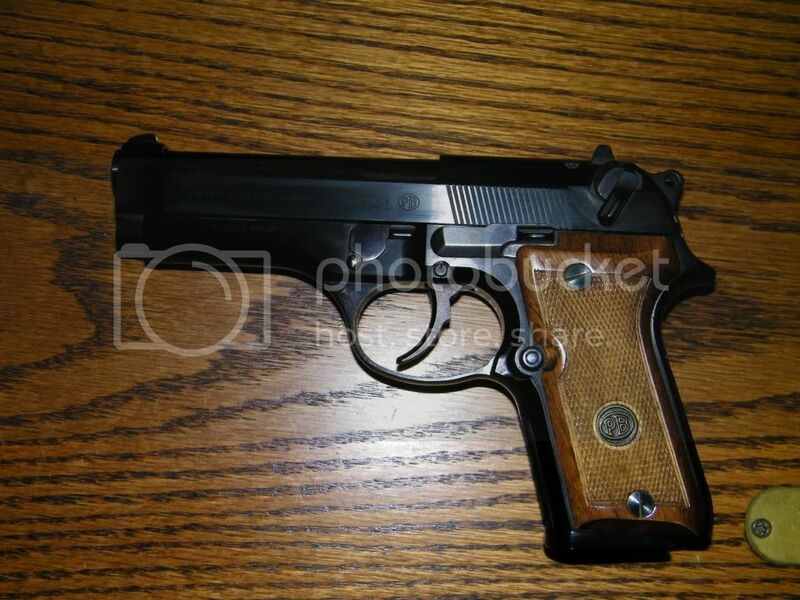 This second gun is my dads, its a 1982 Beretta 92BS 9mm, its only had 50rds through it, just as my 92FS. These guns were from a friend of the family father. This guy would just buy loads of guns, shoots a box through them and get more. When passed away, and when they were clearing out the house they had 4 mini van trips just in gun hauling. :shock: So my dads friend told us what he was selling, and we jumped on it. Yes they are. I will even tell the price of them. 92FS $400, 92BS $300. Like I said, could not pass this deal up. Very Nice! I have a 92FS and love it! 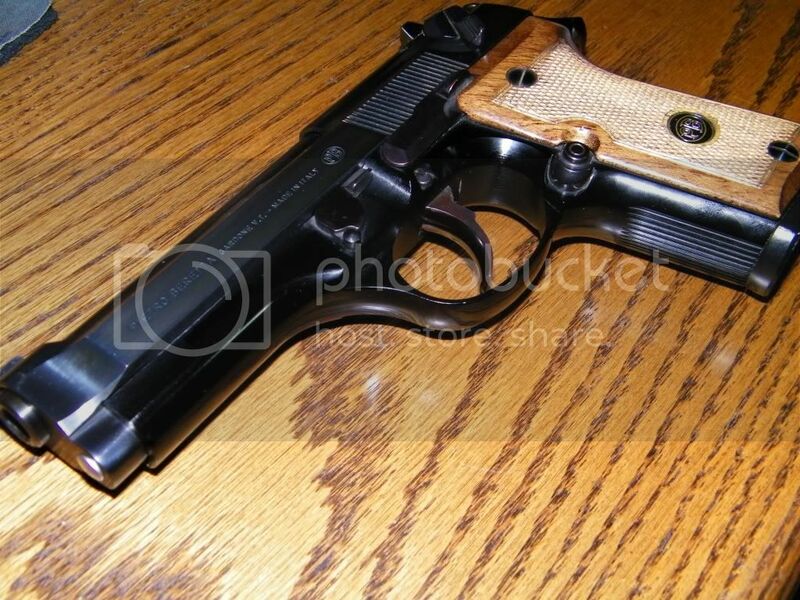 Great handgun. Norinco M14's Are they safe?